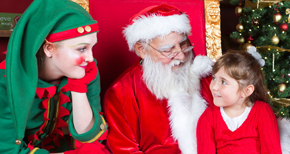 Christmas Town at Busch Gardens Ends This Sunday! It's Giveaway Time! 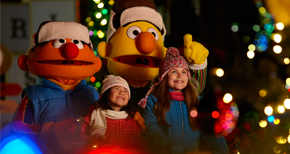 Christmas Town at Busch Gardens Ends This Sunday! It&apos;s Giveaway Time! Happy Thursday every one and Happy Holidays as well! Jerm here to let you know about one of the most exciting holiday events in the Tampa Bay area this season that is going on at Busch Gardens Tampa Bay! If you are looking to get into the holiday spirit this season then look no further than Christmas Town at Busch Gardens Tampa Bay. For the past few weeks, Christmas Town has transformed Busch Gardens® Tampa Bay into a winter wonderland of surprises and all things Christmas. Christmas town is however winding down so your last chance to make it out to see all of this holiday awesomeness is this Sunday! As always the crew here at Visit Tampa Bay has some tickets we are going to give away to two lucky followers on Twitter! Now if you&apos;ve played along with us before for trivia you know how this game goes, just reply and answer the question we pose on the Visit Tampa Bay Twitter account and that enters you into a chance to be one of two names that we will draw! So lets re-cap, in order to win, just answer the trivia questions below by replying to us on Twitter with the correct answers. We will draw names tomorrow mornin gand notify the winners! Also it does increase your chances of winning by re-tweeting our original giveaway tweet! What are the hours for Christmas town this weekend Dec. 21-23? Name the Grammy Award-winning contemporary Christian artists who will provide an uplifting finale each evening with an exclusive concert in Christmas Town™ Village. Well that&apos;s it for now folks, but get to answering the trivia question! Weather you win or not, Christmas Town tickets are going fast, so be sure to purchase tickets before this event is over! For more updates on things to do in Tampa Bay, visit our website!